Note: I was digging through my drafts this week and came across this beauty that I wrote last fall and didn’t publish. The guy it was written about is no longer a boyfriend (and his sinuses are rejoicing), but he’s still a good friend. (And I told him I was posting this). What do you get when pair a self-proclaimed cat lady with a funny guy who claimed he’d never date a girl who owns cats? As it turns out, some pretty hilarious conversations between the boy and the cat. 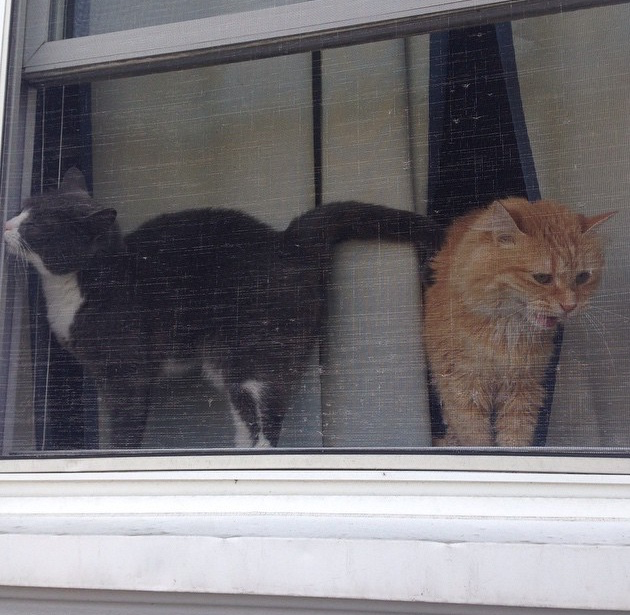 I have one orange cat named Frank (@hello_imfrank on Instagram) who can’t stand to be out of my presence, one gray one named Mouse who’s happy hiding from everyone and one boyfriend who’s allergic to them both.